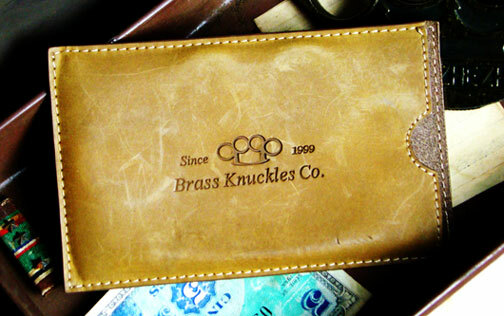 A Brass Knuckles Company™ Exclusive! 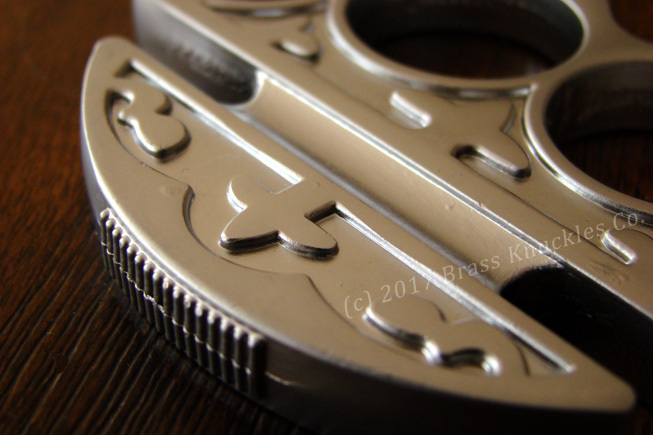 The popularity of our Bare Knuckles Boxing Iron™ has been so overwhelming that we've now decided to offer a limited edition bronze plated version of these detailed boxing iron knuckles. Just like the original Bare Knuckles Boxing Iron™, these are inspired by an early 1900's era weapon from our private collection. The finger holes are individually sized to fit each finger. This style knuckle fits a bit more snug to the fingers and it is a good choice for those who find our "Original" knuckles design too big. 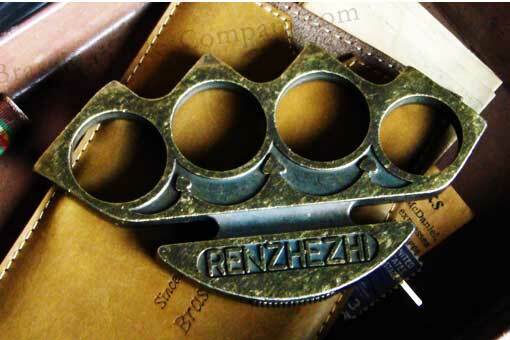 The pointed knuckles focus the energy of a punch and the pointed ends facilitate devastating hammer punches. The way of humans is brutal. 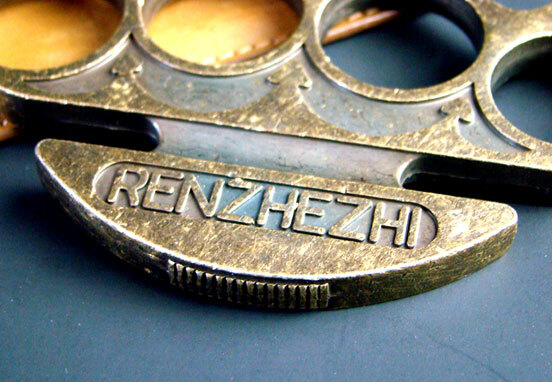 That is the meaning of "RENZHEZHI", the phrase engraved on these knuckles. It is a phrase from a Chinese proverb meaning "following the human instinct is an abuse to intelligence" or "the way of humans is brutal". NOTE: Sold individually, NOT as a pair. Material: Bronze plated steel. 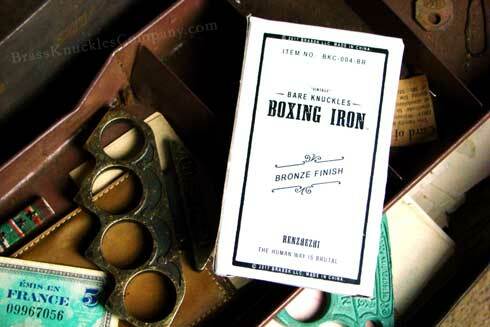 You'll be proud to own this legendary Boxing Iron! Vintage packaging adds to the collectible experience. Leave a legacy of strength and honor.